If you dream of owning a garden that feels more like a room than just another pretty space, you may want to entertain the idea of garden room home design. Garden rooms are wonderful for small parties or just an intimate gathering of two. Imagine being able to enjoy your own private outdoor getaway in your own backyard. Here are some tips to help you create your own garden living space. Use bamboo, vines, or other trees to create a fence around your space. Creating a sense of privacy that works with nature is paramount when creating a space that inspires serenity. Fields of green can become a bit run of the mill after a while. Create interest by planting small wildflowers in a multitude of colors. Make it appear natural by randomly scattering the seeds around and letting the seeds grow where they may. The sound of the trickle of water can bring calm to any space. Implement a small fountain that can be used as a space for meditation, getting cozy with a good book, or bird watching. 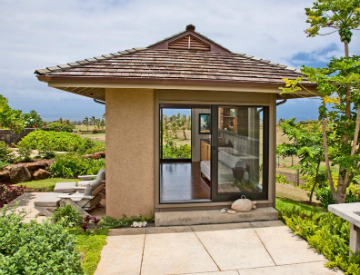 Now is the time to create a beautiful garden room for your backyard. If you have questions about how you can create a space that is tranquil, lush, and full of color, call the garden room home experts at Tiefenthaler Home Builders.